Modesto Plastic Surgery had it's beginnings when Dr. Tammy Wu began performing Breast augmentation surgery, liposuction, tummy tuck, and facelift surgery four years ago in Modesto, CA. She formed Modesto Plastic Surgery in February, 2006, after being the developing the Plastic Surgery Department for Sutter Gould from 2003-2006. Modesto Plastic Surgery has grown tremendously, performing breast augmentation surgery and liposuction almost daily. Breast implants has become her top procedure, followed by liposuction, then tummy tuck surgery, then facelift surgery, then breast reduction surgery. Breast reduction surgery is usually covered by insurance, but breast augmentation, cost of breast implants, liposuction, tummy tuck surgery and facelift surgery is not. However, if breast cancer is involved, breast implants may be a covered cost. Having moved 4 times in the last 4 years, Modesto Plastic Surgery is located in a building on Sylvan Ave. that has her name on it "Tammy Wu, MD Modesto Plastic Surgery." Modesto Plastic Surgery website: other Modesto Plastic Surgeons. Another Modesto Plastic Surgery site. Modesto Plastic Surgery Home: Tammy Wu, MD Modesto Plastic Surgery in Modesto, CA: 209-551-1888. Modesto Breast Augmentation FAQ - written by Modesto Plastic Surgery director Dr. Tammy Wu, Board Certified female plastic surgeon. Breast implants are discussed: Saline breast implants, silicone breast implants, gummy bear breast implants. and even breast implants of the past ie. Soybean. Interested? Click on Modesto Breast Augmentation FAQ. History of Breast Implants: Modesto citizens received many of the breast implants mentioned here - call them Modesto breast implants?. This is a timeline of the evolution of breast implants, now featuring gummy bear breast implants. Many links regarding breast implants could be found here - courtesy of Modesto Plastic Surgery. Calvin Lee, MD - Modesto Plastic Surgery Administrator and functions clinically as a Plastic Surgery Assistant, and has his own practice in general surgery and acupuncture. 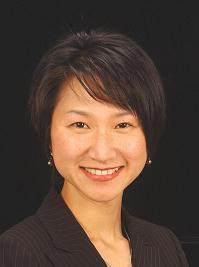 Tammy Wu, MD - The Plastic Surgeon of Modesto Plastic Surgery, Inc.
Corporate structure of Modesto Plastic Surgery, Inc.
Tzuying Tammy Wu, MD, Inc.
Tzuying Tammy Wu, MD, Inc. is the mother company which spawned Surgical Artistry and Modesto Plastic Surgery. Confused? Modesto Plastic Surgery is concerned with surgical issues only (breast augmentation, implants, liposuction, tummy tucks, facelifts - all hospital based), Surgical Artistry goes beyond the services of Modesto Plastic Surgery and includes spa services such as botox, lasers, restylane, fillers, microdermabrasion, skin care, obagi, and varicose veins treatment. The differences are minor, all with the same goal of legendary plastic surgery services surgical or non-invasive in Modesto, CA. If you are a Modesto Plastic Surgeon and would like to be listed on our surgical information page, please give us a call. Thank you for visiting this page which is an introduction to Modesto Plastic Surgery Inc's services. Go to http://www.surgerytoday.com for more information about Modesto Plastic Surgery and Plastic Surgery procedures. (c) Modesto Plastic Surgery, Inc. a medical corporation.